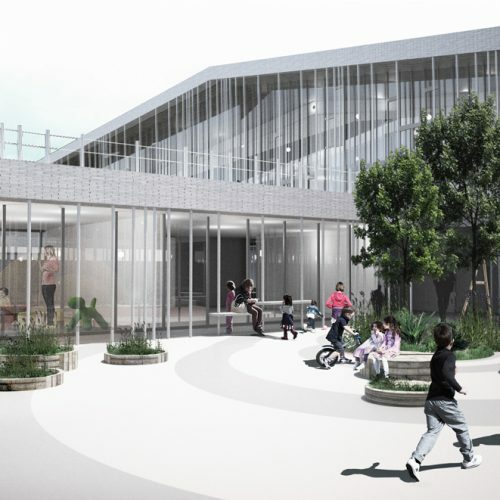 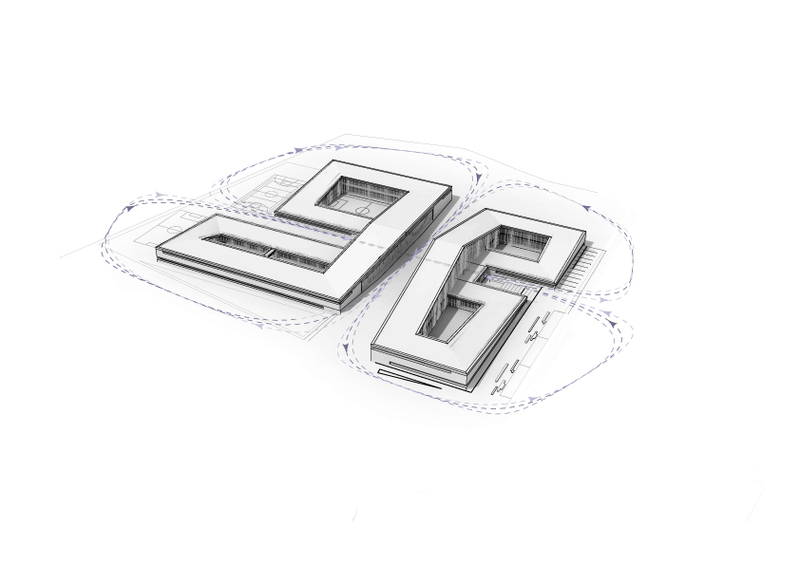 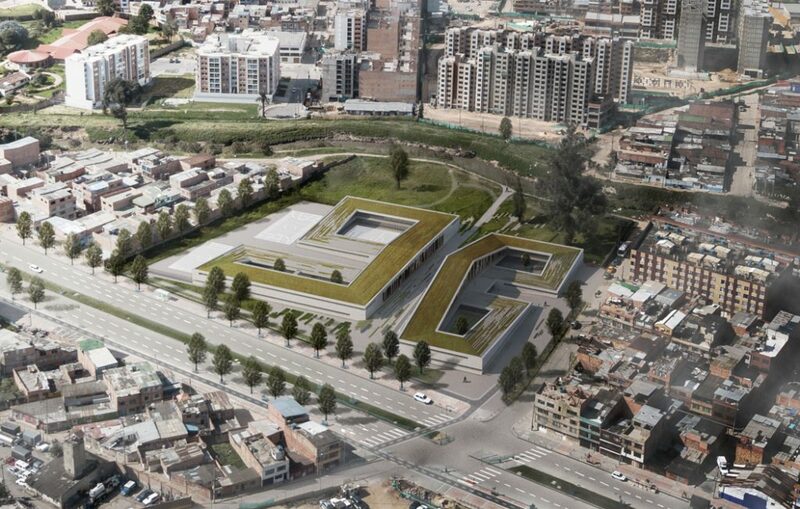 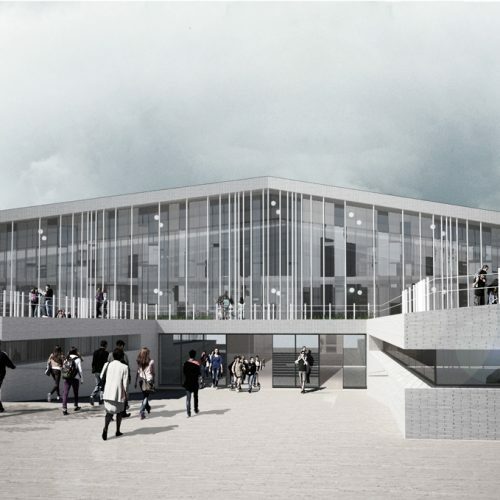 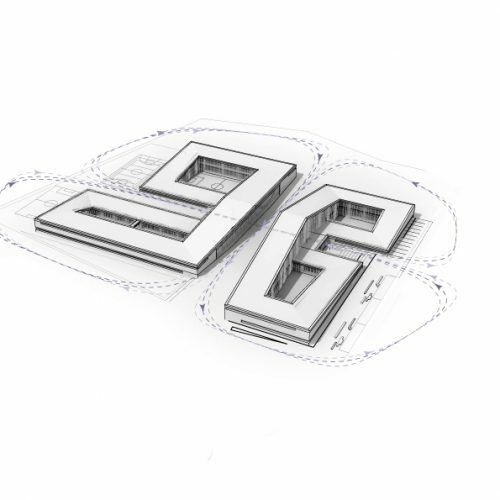 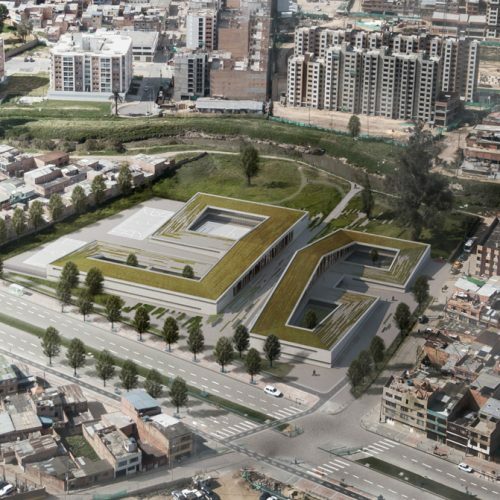 The proposed design for the Argelia II School in Bogota, Columbia, stands out as a benchmark for the city as the first building addressing issues of sustainable mobility and education in the district of Bogota. 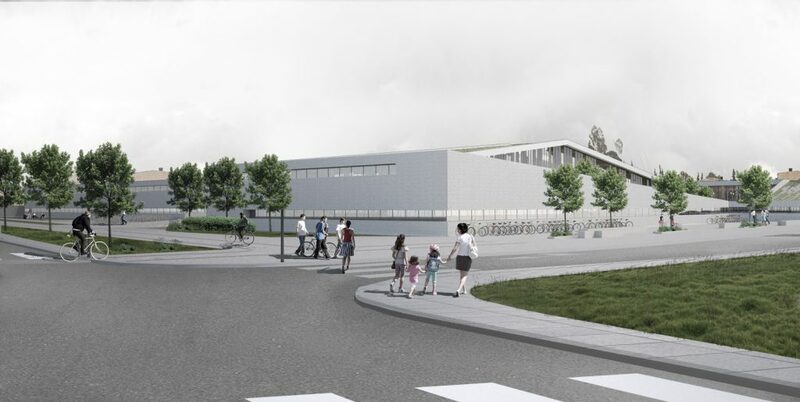 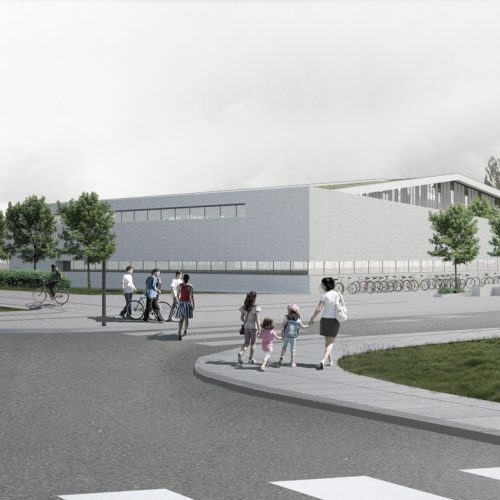 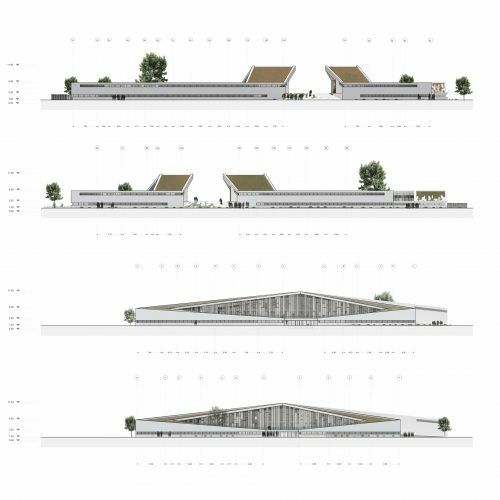 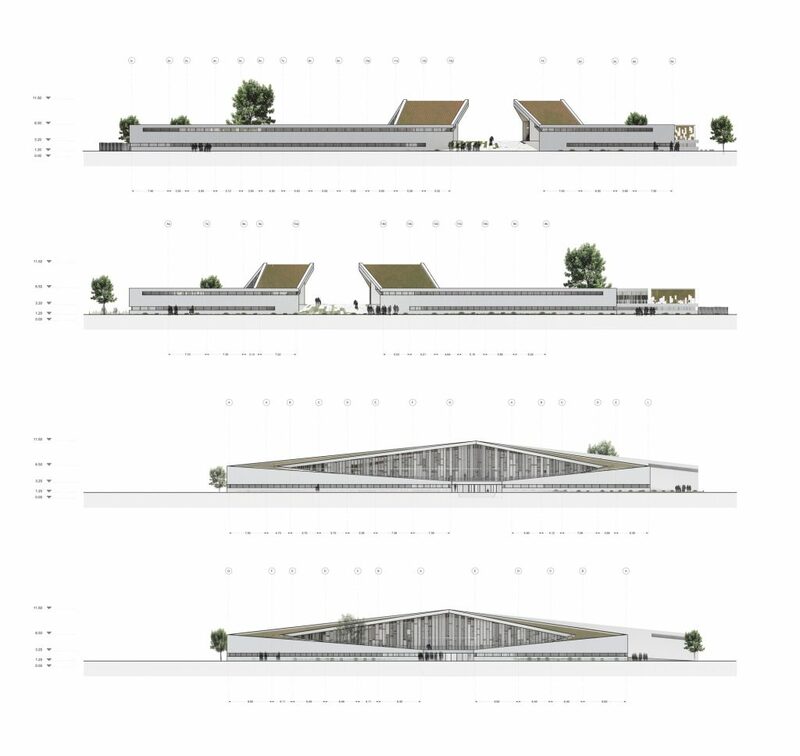 In collaboration with local architect Rodrigo Chain, Ax Jensen & Goehring Architects offered an integrated K-12 school and bicycle centre. 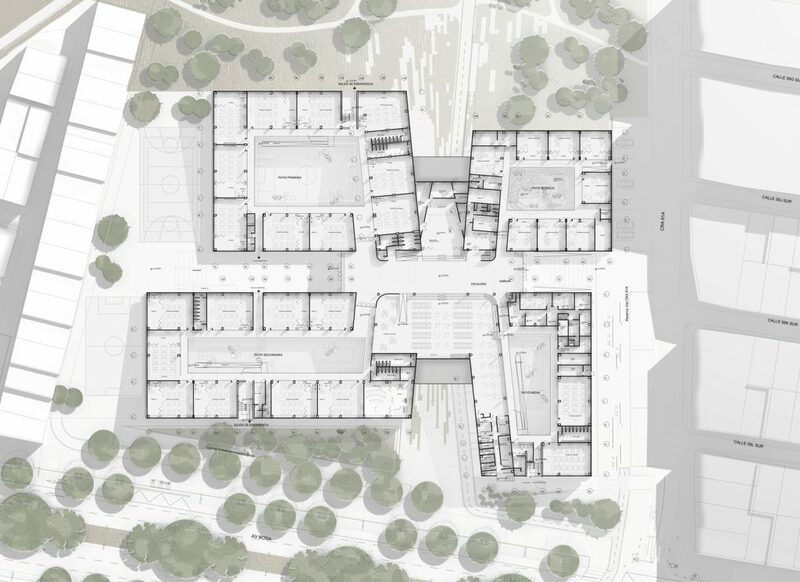 It was organised as a continuous loop around inner courtyards that help to sectorialise the building by program. 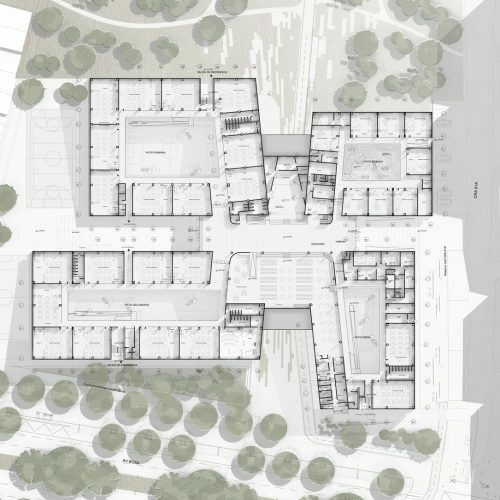 The courtyards, in addition to providing spatial and bio-climatic qualities, adds the dimension to compartmentalise the building and while individually controlling each patio space. 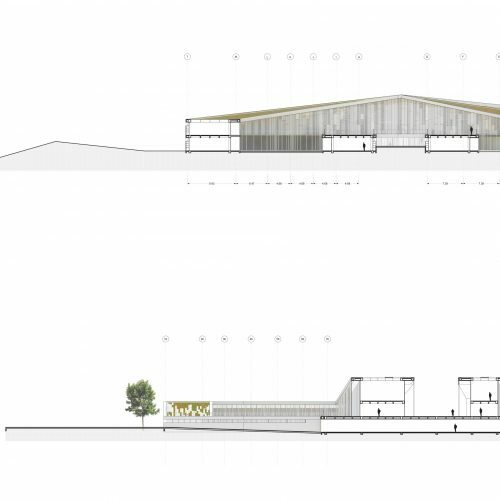 The project has a high level of flexibility that can be shared with the public community. 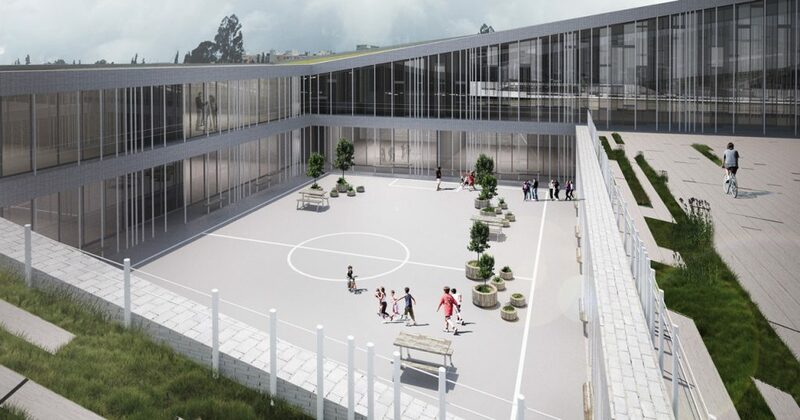 Thus the project is designed so that the community has the possibility of using each of its different facilities during extra-curricular hours. 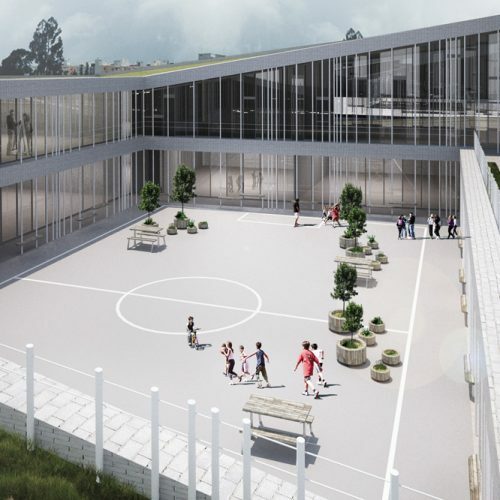 The community is not only enriched by a school and a bicycle centre, but also a library, an auditorium, sports courts, open air theatre and an expansive green roof area for public use. 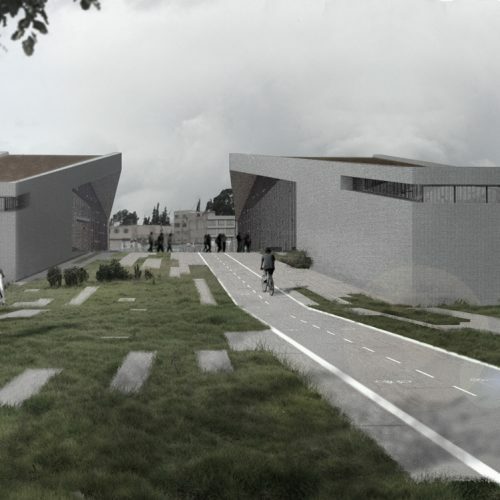 Through the urban plan analysis and taking into account the River Tunjuelo- Environmental Control Zone and Z.M.P.A.- the project proposes to be an active connection of the city with the river and its surrounding park. 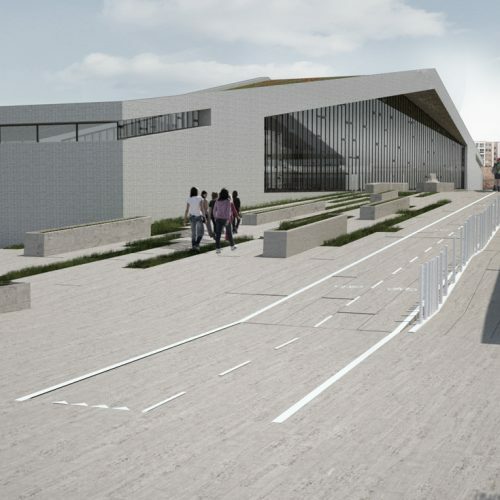 To achieve this important connection, the project opens in two parts and allows a public pedestrian crossing that graciously linking Avenue Bosa with the Tunjuelo River. 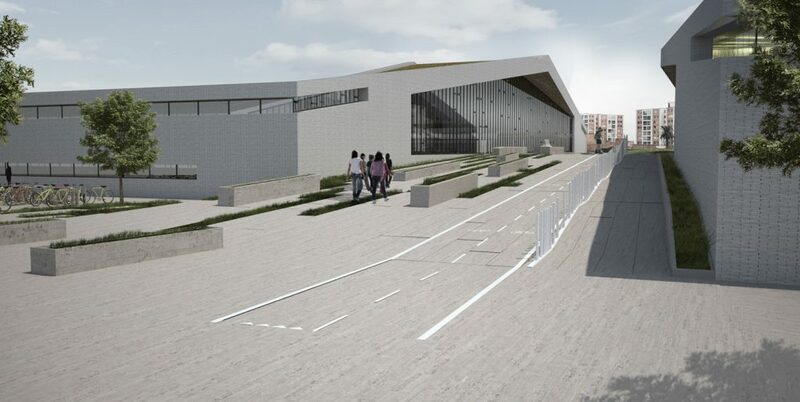 This public access to the river becomes the access to the bike centre, which in turn generates private access to the Algeria II school.